"You said the age of heroes would never come again." "It has to." It's time! 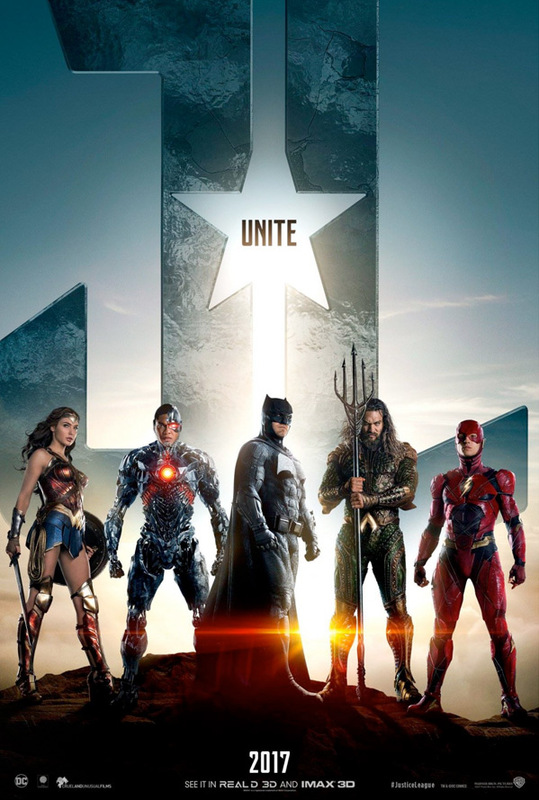 Warner Bros has unleashed the first official trailer for DC's Justice League, featuring tons of action-packed footage of the team of five superheros from the DC Comics world coming together to save the world. This is the first actual trailer aside from the Comic-Con footage last year. Justice League is the continuation of the Batman v Superman series in the DC universe bringing together five super-powered beings: Ben Affleck as Batman, Jason Momoa as Aquaman, Ezra Miller as The Flash, Gal Gadot as Wonder Woman, and Ray Fisher as Cyborg. There may be a few others, and the extensive cast includes Willem Dafoe, Jeremy Irons, Amber Heard, Amy Adams, Jesse Eisenberg, and J.K. Simmons as Commissioner Gordon. Honestly this looks pretty damn cool, just pure entertainment, with a few epic shots at the end. Will it live up to the hype? Only time will tell. You can also still watch the first Comic-Con trailer for DC's Justice League here, to see more early footage.